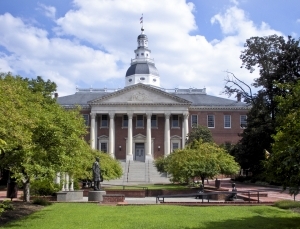 The 2014 Maryland Legislature is officially open for business, and day one provided a few headlines worth discussing. The most notable being governor O’Malley’s comments in opposition of marijuana legalization. O’Malley was quoted as saying he is “not much in favor of it”, and that it could be “a gateway to even more harmful behavior”. The democratic governor spoke about the damaging consequences of drug addiction, particularly in Baltimore, where he was once mayor. The issue of legalized pot is especially relevant this week in light of Colorado recently allowing the first retail purchasing of marijuana in almost 80 years. It appears from the governor’s comments that Maryland is not headed in the same direction, at least not this year. But some lawmakers, such as the state senate’s president, firmly believe that legalization will eventually become realty in our state. Decriminalization, which still makes pot possession illegal but not a jailable offense, may be in the cards much sooner. A decriminalization law would likely subject offenders to civil fines and possible drug treatment, but would take incarceration off the table. This approach has already gained support from the state senate, and could potentially garner increased support form the house this year. The governor has not offered his opinion on decriminalization specifically. The official word from O’Malley’s office is that he would consider such a bill if it passes the general assembly. In addition, the governor did affirmatively state he would consider modifications to the state medical marijuana program, which is light-years away from becoming functional. It has been the Blog’s position that O’Malley’s national political aspirations would dictate his stance on marijuana legalization, and his recent comments only affirm that notion. The governor’s statement was about as bland and irresolute as possible. He came out against marijuana, but put more emphasis on drug addiction in general, and he kept the door open to decriminalization. It is not coincidence that this opinion, or lack thereof, mirrors that of the Obama administration. Not really for it, but not inclined to pound fists on the table against it. The governor’s statements are more of a punt on the issue than an actual stance, but nobody should be surprised. National politicians are likely to sit back and observe the success of retail marijuana in Colorado before taking a hardline stance. If Colorado rakes in tax money without experiencing a rise in crime or other negative publicity, we are bound to see more political big wigs supporting the movement. But local lawmakers will continue to be more affirmative and outspoken on both sides of the issue, and all signs point to the same amount or a larger number of marijuana bills hitting the legislative floor in 2014. Last year we saw both decriminalization and legalization bills, and both provided spirited dialogue regardless of party affiliation. The Blog will continue to follow marijuana and other controlled substance bills as the travel through the legislature in the coming three months. We do not believe drastic changes in Maryland drug laws are on the horizon, but it will certainly be interesting if the governor finds a bill on his desk, that if signed, will prove us wrong. Benjamin Herbst is a maryland criminal defense lawyer who handles all types of offenses in state and federal court. 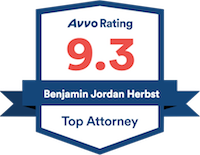 Call or email Benjamin for a free consultation about your case.